I'm so excited to have been part of this event again! The Big Fake Wedding is an alternative bridal show that turns the idea of a traditional wedding expo on its head. A real married couple celebrates a vow renewal, but the whole thing is staged as a wedding. Vendors are given a theme and color palette to design from. 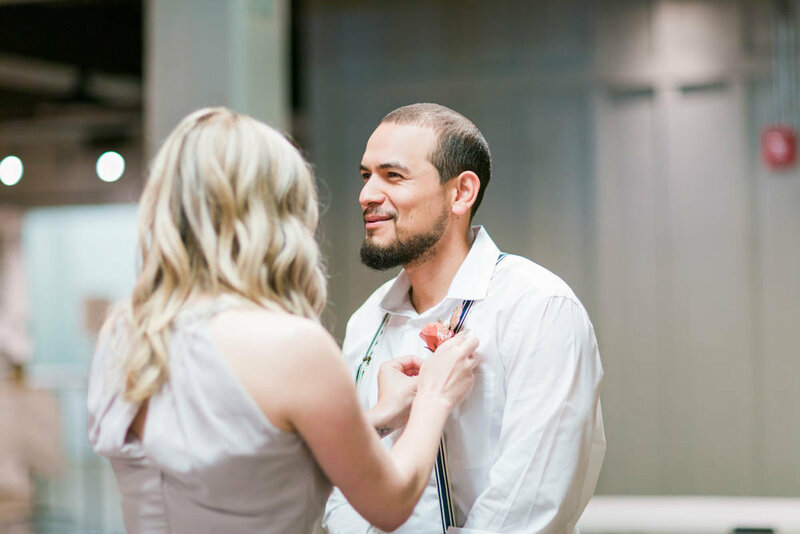 Engaged couples get to see vendors in action and talk to them one on one, and the organizers do a great job of curating multiple vendors in most categories (such as flowers, stationary, and photography) so that there is real variety for the guests to peruse. 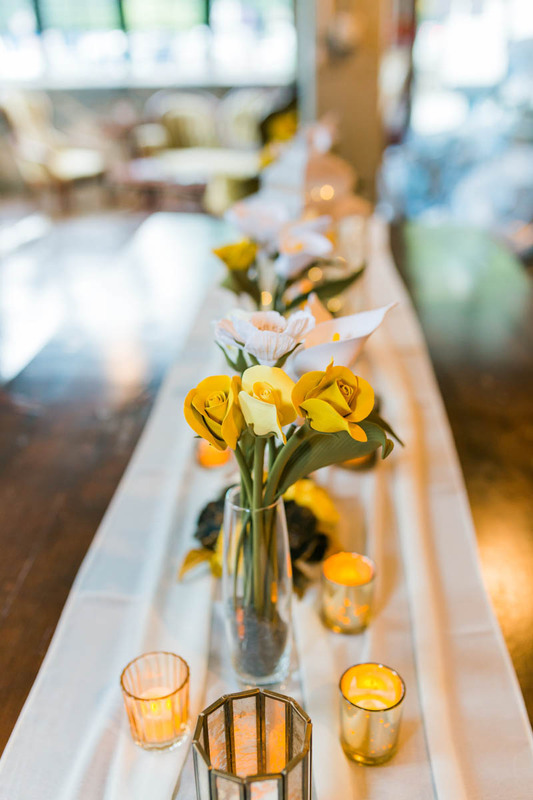 I created the bridal party's flowers as well as two tablescapes for the 2018 Baltimore event, held in Ellicott City on May 16th. 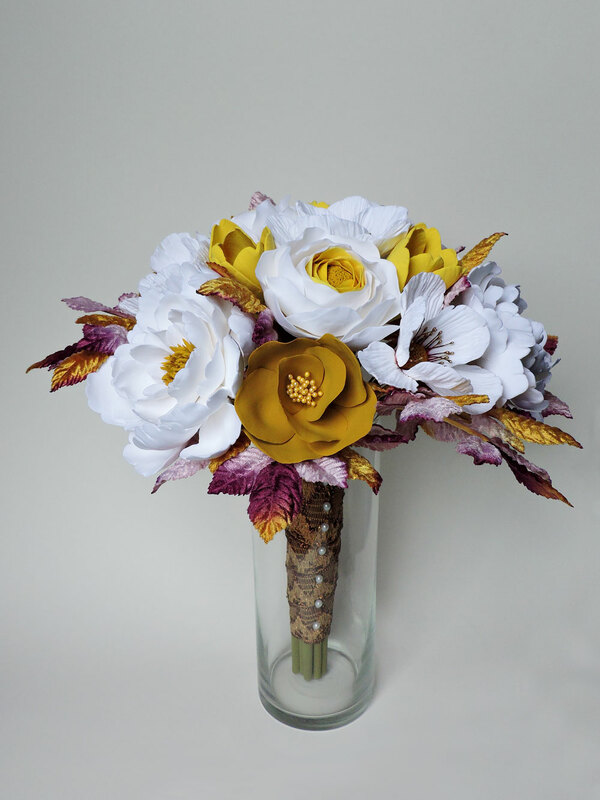 The bride's bouquet included white ranunculus with ombre yellow centers, yellow tulips, fluffy white peonies with darker gold centers, white anemones with metallic gold-tipped red stamens, and darker gold flowers that I made up (I wanted something with lots of stamens for interest, but without a lot of other texture or dense layering of petals). 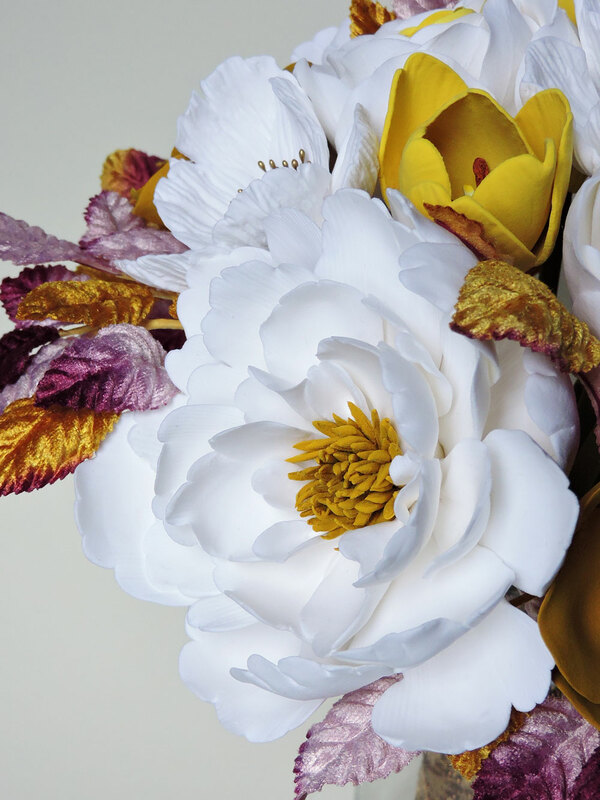 I chose velvet leaves that included the same luscious gold tones as the flowers, as well as vibrant pink, burgundy and purple for contrast. The bridesmaids each had slightly different arrangements, for a little extra interest! 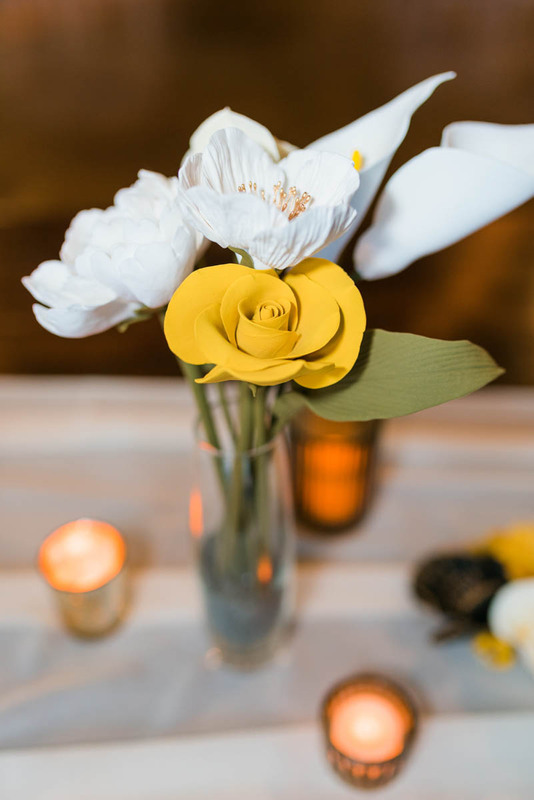 Both included a white anemone to match those in the bride's bouquet, blush cherry blossoms with gold-tipped red stamens, blush peonies (dark stamens in one bouquet and light in the other), and rich sienna roses (darker in one bouquet, lighter in the other); one bouquet also included white tulips, and the other had white flowers with peach stamens (again, more of a made up flower but similar to my anemones). 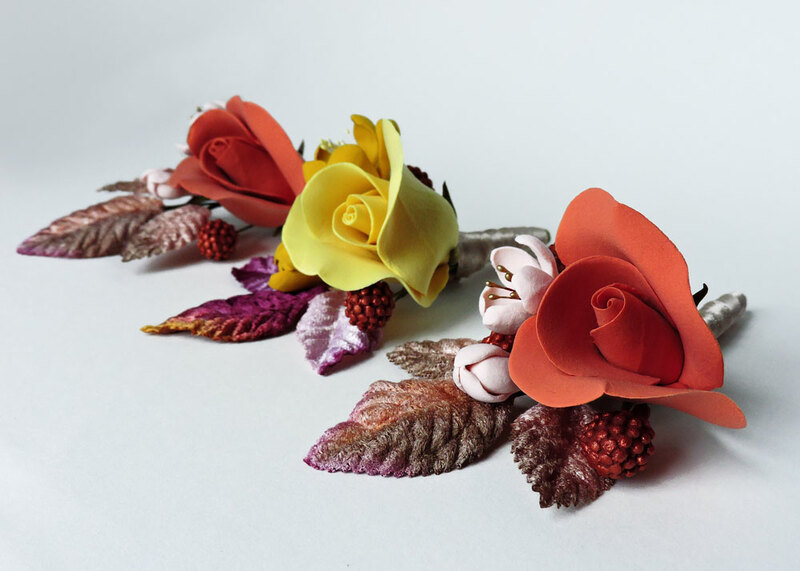 The velvet millinery leaves were the perfect match, with pink highlights to accentuate the red of the sienna tones as well as hints of grey that complemented the bridesmaids' dresses. 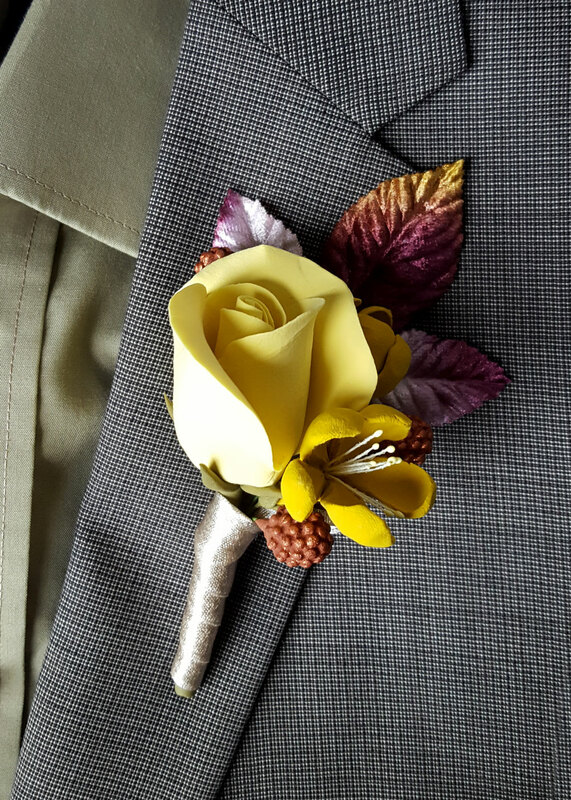 Each boutonniere included a rose, metallic coppery berries, cherry/fruit blossoms, and velvet foliage in colors to match the bouquets. I wrapped them with a champagne ribbon that complemented both color schemes. And we can't forget Remy! 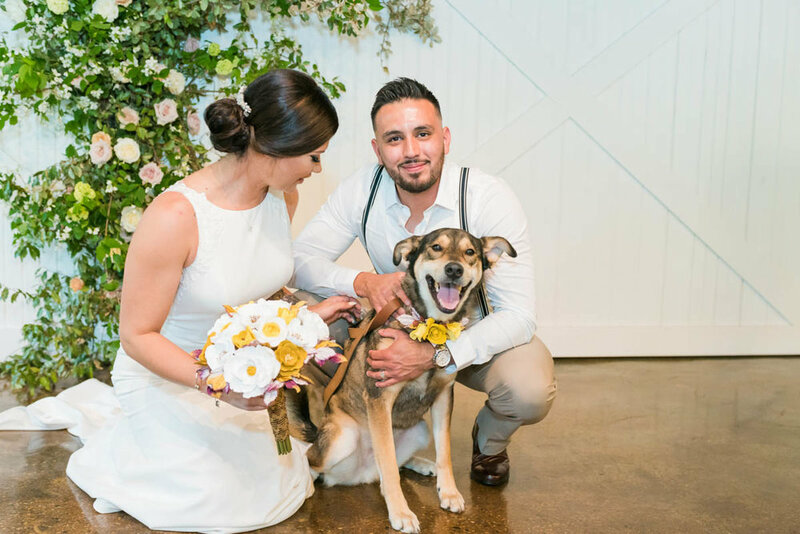 The Big Fake Wedding celebrated a special first at this show: first dog included in the bridal party! The couple's dog Remy was absolutely delightful and (everyone agreed) the real star of the day. 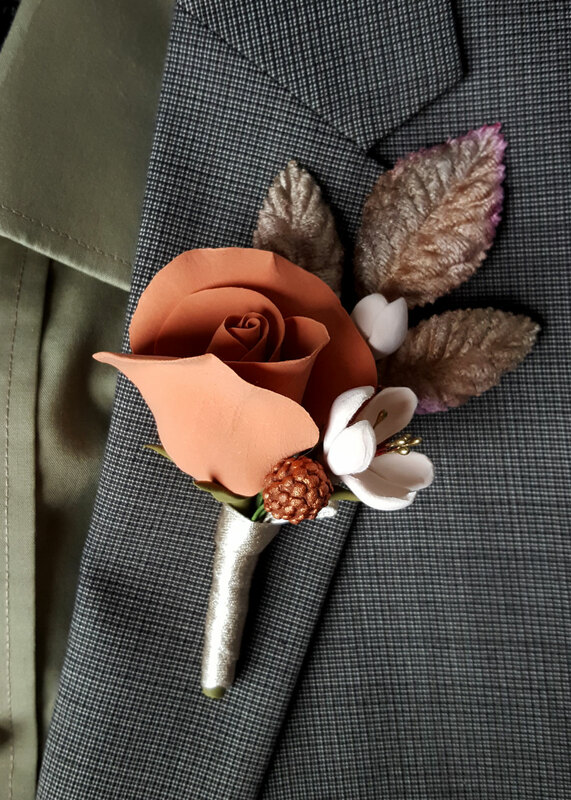 I designed a special collar attachment with gold-toned flowers and foliage so he'd be sure to match his favorite people. 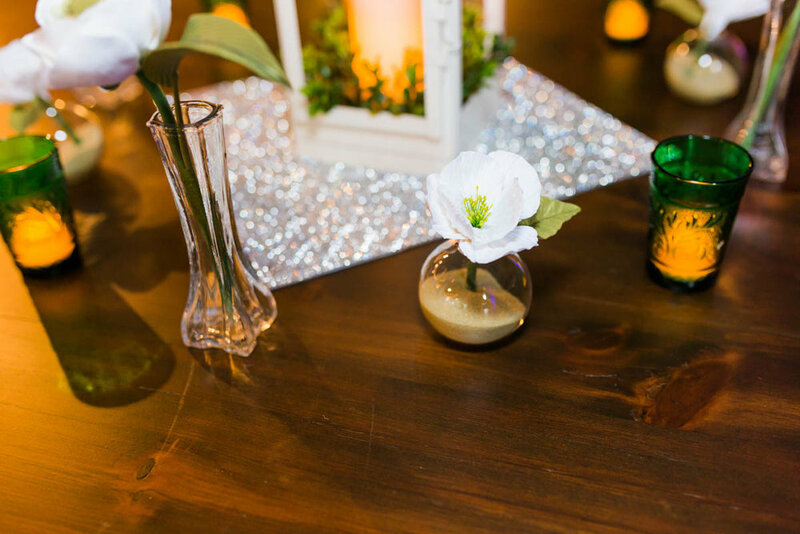 See more from Wedding Chicks and The Big Fake Wedding blog! 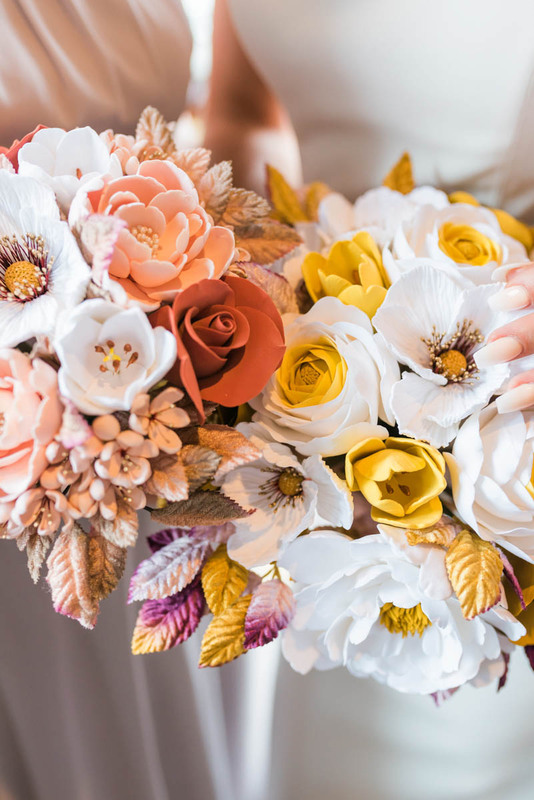 The second I saw the color palette, I knew I wanted to use those vibrant honey and sienna tones as a stepping off point for the bridal party's flowers. 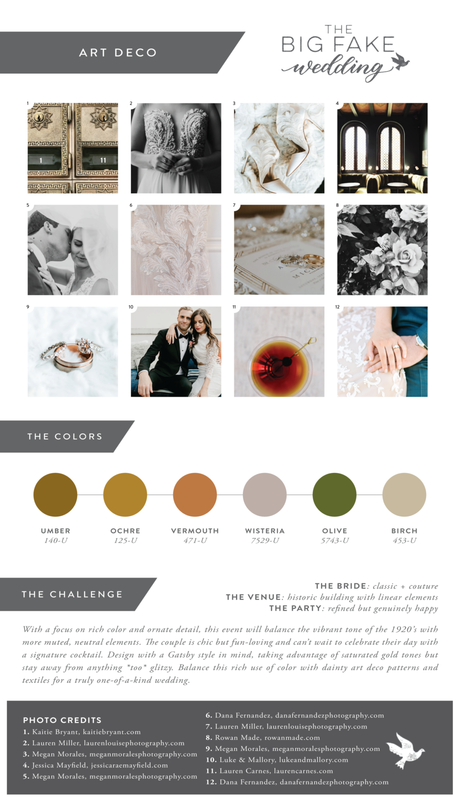 I used white and gold tones for the bride and groom, and shades of sienna for the bridesmaids & groomsmen. I used a lovely black and gold lace to wrap the bouquets; the darker color offset the lighter flowers and added a little drama.